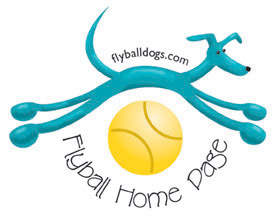 Flyball Classes If you and your dog (or dogs) are interested in starting flyball or getting more information on flyball classes, please contact Marge Henderson at (818) 585-8194 for information about her flyball classes. From the US-101 NORTH, take the DE SOTO AVE exit and turn RIGHT onto DE SOTO AVE.
Then turn LEFT onto BURBANK BLVD. Go past the Kaiser Permanente hospital and turn LEFT at the SECOND entrance into Litton. Go all the way to the back - past security, past the buildings until you see a softball field on the right. The Full Throttle Flyball Club is a registered club with North American Flyball Association, Inc.